Book Review: “The Stories We Tell” by Mike Cosper | J.W. Wartick -"Always Have a Reason"
Mike Cosper’s The Stories We Tell presents a look at the visual arts of television and movies from the perspective of what they tell us about ourselves and people. Cosper analyzes several television shows from Mad Men to Project Runway and looks at themes with redemptive value. He doesn’t present a one-size-fits-all picture of how individual genres or specific movies or shows reflect all one specific picture, but rather analyzes the stories told in these forms of media from the perspectives of various aspects of the Christian worldview. These include themes of creation, sin, redemption, love, the fall and success of heroes, and more. This holistic vision of analyzing stories in TV and at the movies allows readers to open their own avenues for perspectives and reflection in ways that not all books on a topic like this provide. Not only that, but Cosper’s writing is genuinely fascinating. I haven’t watched most of the television shows he discussed, but his presentation of them was enough to allow me to feel as though I knew what was happening and even got me deeply interested in the stories he described. This is not just a good book on how to discuss movies, but it’s also a genuinely interesting overview of a number of stories, whether they’ve been encountered already or not. Another excellent insight Cosper provided was his look at whether certain stories, movies, and television are appropriate for Christians. He presented a very balanced and insightful look at this topic. First, he noted that the question “how far is too far” is often used to draw boundaries either to allow oneself to get as far as possible or to try to denigrate or call out others. Then, he used two examples of the extremes when it comes to appropriateness: the “overanxious teenager” who wants to get right up to the boundary in order to see as much as they can and the “church lady” who wants to stand as judge to show how others are sinners. He uses these examples to great effect, but does not leave it merely at that. He argues that either extreme is mistaken and also offers a way for Christians to explore appropriateness of various shows and movies. Conscience and community are to be our guideposts when it comes to the appropriateness of media. Conscience allows us to have an inner arbiter of whether something is appropriate: “If you’re struggling with whether to watch something, ask yourself if you’re sturrling against a conscience that knows better” (Kindle Location 671). A community will help as well by offering a group of others with different experiences and advice. The community will only be helpful, however, if one commits to being honest about viewing habits and having friends who are willing to confront one over the viewing. I found this to be remarkably insightful and Cosper’s perspective on appropriateness is a solid way for Christians to evaluate their viewing habits. There are many books about Christianity and visual arts like movies and television. 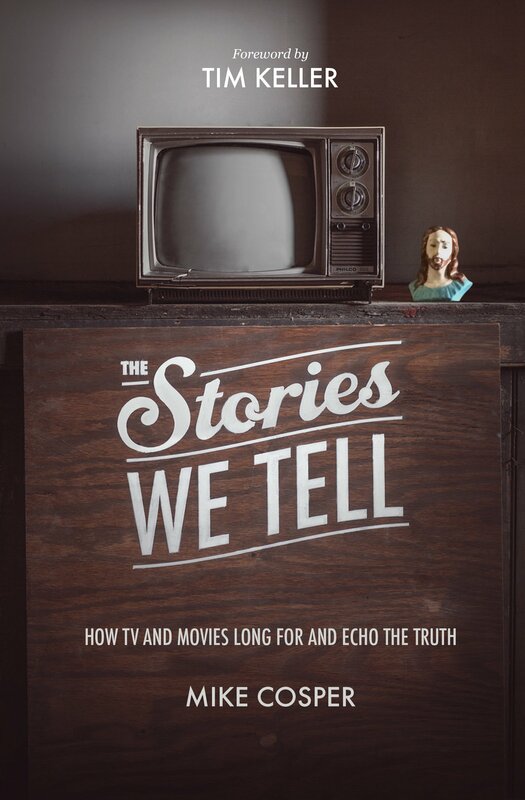 Mike Cosper’s The Stories We Tell manages to set itself apart by presenting detailed looks into several different movies and television shows, while also presenting a vision for how Christians may interact with and even produce these forms of media. It comes recommended. Mike Cosper, The Stories We Tell (Wheaton, IL: Crossway, 2014). « Sunday Quote: Aliens and Paganism? But we must be aware that a conscience that is not carefully guarded, renewed, and maintained can be dulled and eventually erased. Community can be a useful check or a part of the problem (if poorly chosen). I’d personally advise taking a minimalist approach when it comes to pop media. It’s almost all bad. And there is no end of truly beneficial and uplifting options that can encourage growth and virtue. Discernment and wisdom are foundational. So scripture, prayer, and a reliance on the Holy Spirit must be our guide.